Dr. Thorpe was born in Flint and raised in Swartz Creek. 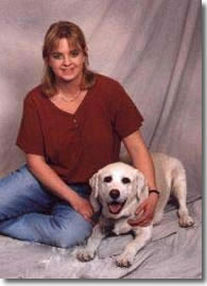 She started working as a veterinary assistant in 1988. She graduated from the University of Michigan-Flint in 1994 with a Bachelor of Science in Biology and Michigan State University-College of Veterinary Medicine in 2000. She opened Thorpe Animal Hospital in 2006. Her areas of interest include surgery, dentistry, dermatology, pain management and shelter medicine. She helped start the local Paradise Animal Rescue in 2001. Her family has lived in Lapeer County since 2000. She enjoys gardening, hiking and spending time with her children and dogs. She also has a small flock of chickens and ducks that give her family fresh eggs and always keep them entertained!